Yay! 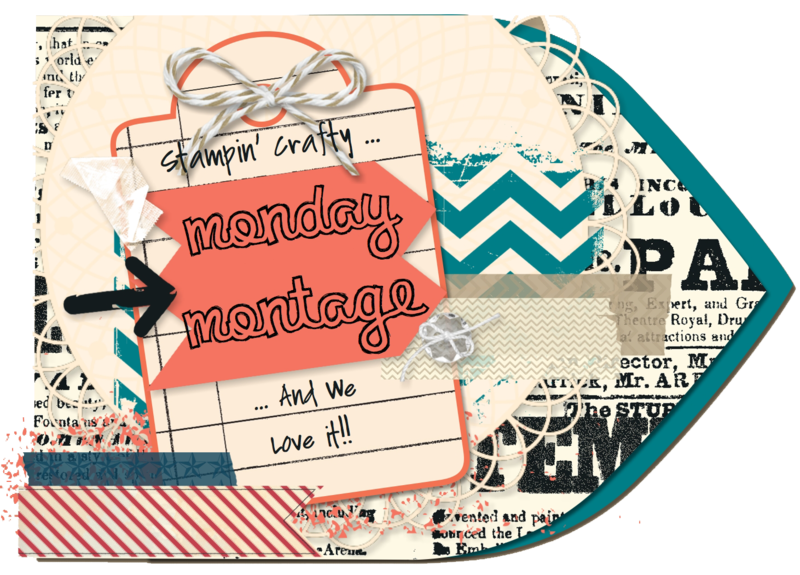 It's another Monday Montage Blog Hop! I hope everyone had a great holiday weekend. For this week's project I have a snowflake wreath to share with you. To make this wreath, I mostly used the Festive Flurry stamp set and Festive Flurry Framelit Dies (available as a bundle). I started with a wire wreath frame as my base. Then, I cut out a bunch of Island Indigo snowflakes to cover the wire and provide a nice background. The main snowflakes of the wreath are made up of several layers. 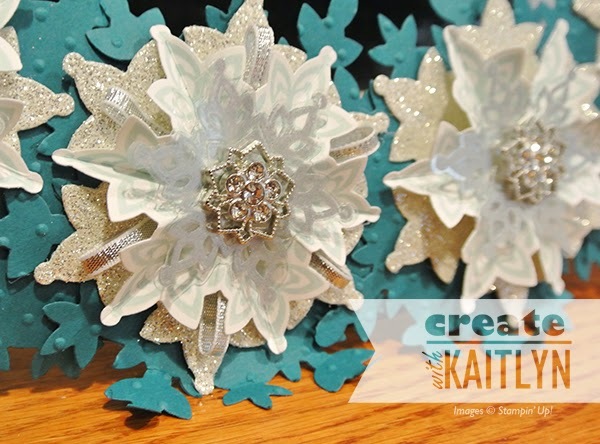 First, there is a Silver Glimmer Paper Snowflake with loops of Silver Ribbon on it. 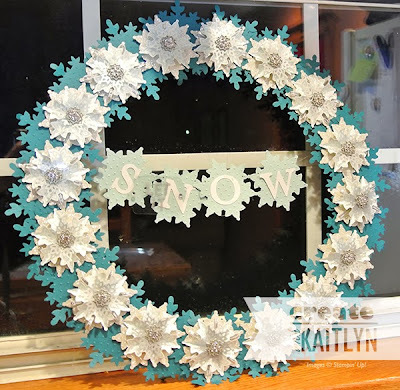 Then a rosette snowflake (see this video on how to make them) and a Window Sheet snowflake. 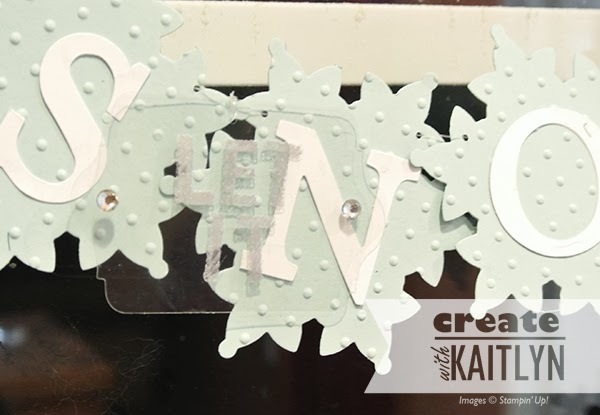 I stamped the Silver Snowflake in Silver Encore and then embossed them with Clear Embossing Powder on the Window Sheet. Lastly, the Frosted Finishes were the perfect finishing touch! After I finished putting all the snowflakes on, I decided it needed to say "Let It Snow" across the center. The letters for "Snow" were quickly cut out with the Typeset Alphabet Dies and the Big Shot. I didn't want the "Let It" to stand out, so I stamped it in silver on a window sheet, like the window sheet snowflakes. Be sure to click the "Next" button below to see what everyone else has created this week! Gorgeous Kaitlyn! I have been loving all the beautiful wreaths people are making this season and this one is no exception! WOW!!! I caught a glance of this on Pinterest this not knowing it was yours...a-mazing!!! Georgeous Kaitlyn - I hope you are keeping this one!